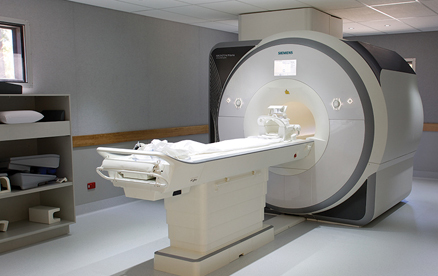 The HMRI Imaging Centre gives Hunter medical researchers and practitioners easy access to world-leading imaging technology – the best of its kind in the Southern Hemisphere. The Centre adjoins the HMRI Building, located on the John Hunter Hospital campus in Newcastle, NSW Australia. The University of Newcastle manages the $6 million facility in partnership with the Hunter Medical Research Institute (HMRI) and the Hunter New England Local Health District (HNELHD). Researchers are invited to use the Siemens MAGNETOM Prisma 3T scanner to support their research projects. Our vision is to equip local researchers to make meaningful contributions to the health and wellbeing of Australians and the international community. The centre is also regularly utilised by clinicians, and patients and research participants.